Most Canadians admit that they can’t function without a good cup of coffee early in the morning and even throughout the day. While we revere a good cup of java and pull our noses up at burnt coffee beans we tend to leave the grounds in the pantry when it comes to cooking. A modern-day gluten-free diet relies heavily on sweet and salty flavour profiles with umami and sour flavours intermittently being thrown into the mix to balance everything out. Coffee, however, falls into the bitter category and with our lack of understanding of how bitter flavours can improve a dish, we tend to leave it out of our recipes altogether. Due to the fact that coffee beans are not a protein grain, they are considered safe to consume as part of a gluten-free diet. An exception to this would be if the coffee beans came into contact with a product that contains gluten. Even the smallest gluten particle can cause severe physical symptoms for some people making it important to opt for organic, whole-bean coffee as far as possible as they do not generally produce cross-reactivity issues. You might think that you are craving something sweet or savoury when, in actual fact, your taste buds are looking for variety. The tastiest meals are the ones that are able to deliver various flavour elements in the same dish, creating a more complex and appetizing end result. Cooking and baking with coffee can add an extra dimension to the flavour profile of your dish, enhancing the overall taste significantly. Coffee can be used like any spice and added to a variety of gluten-free dishes such as soups, stews, marinades and especially baked goods. You may be surprised at how adding a sprinkle of coffee grounds to your next cheese board can improve the strong cheese flavours tremendously – your taste buds will thank you for it. In a similar fashion to how adding salt to caramel leaves you with a richer, more appealing end result, adding coffee to your chocolate recipes will intensify the flavour while reducing the sweetness. Adding coffee to your favourite indulgent gluten-free chocolate cake or dessert will prevent you from feeling sick thanks to the rich and often overly-sweet nature of these food items. Experiment with different coffees to see which works best with the chocolate of your choice. While experimenting with new delicious ways to drink coffee and adding coffee to your baked treats and desserts may seem fairly typical, rubbing it into a steak may take a bit more courage. Strangely enough coffee pairs extremely well with meats like fish, beef and pork to add a distinct and pleasant earthy flavor to the dish. Apart from the flavor enhancement, coffee also helps to make the meat tender, supplying you with a very enjoyable cut of meat that requires notably less chewing. Coffee grounds can be applied as a dry spice rub with the excess being brushed off before consumption or as a liquid mixed with your favorite herbs and spices. Cooking with coffee is a great way to bring life to your everyday meals and your options are only limited by your creativity. 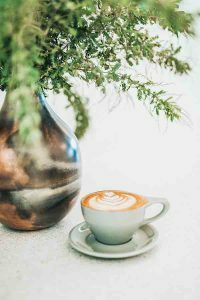 As someone following a gluten-free diet it is imperative to only use uncompromised coffee sources when brewing a delicious cup of java or using it in your favorite recipes.